Architectural integrity. Professional integrity. Personal integrity. That’s what you can expect when you partner with Karlovec & Company on your home remodeling or restoration project. Our team of knowledgeable and experienced professionals can handle any design, historic restoration, or home remodeling project. As a unit, and in coordination with our trade partners, we’ve built a reputation as the company you can trust to deliver your project on time and on budget. 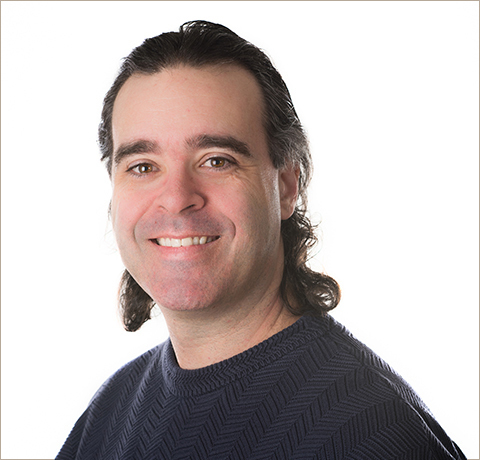 Background and expertise: Jim was raised in Solon, OH but moved to Shaker Heights to be in the heart of amazing architecture and to be closer to the city, though not until after finishing his studies at Bowling Green State University. As the Founder/Owner of Karlovec & Company, his industry experience is heavily weighted toward his efforts refining business operations over the last 20+ years. Prior to founding the company he worked on and off in the trades while in school, co-founded and ran a cross-country cycling event for a non-profit, was a facilities manager and then production manager for a large commercial printing company, and worked briefly as a photographer in Colorado. 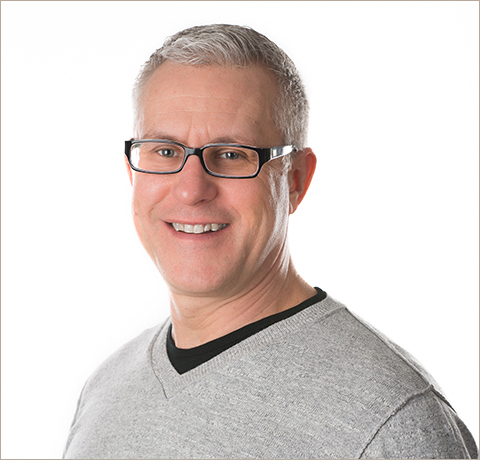 Jim firmly believes that his unusual background, and his ability to work with all types of people, is a big part of why he and his team work so well with a diverse client base. Here at Karlovec & Company: As a small business owner the list of items Jim handles is extensive, though his primary client-specific responsibilities are what drives him. 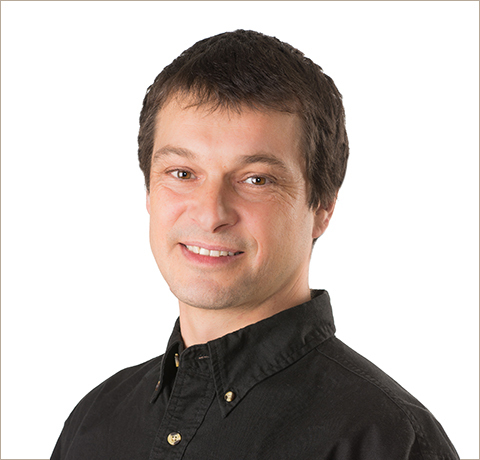 At its core Karlovec & Company is staffed by a group of problem-solvers and, by default, he is Chief Problem-Solver. Brainstorming with clients about issues, opportunities and the endless “what ifs” of a project is critical to his process. Finding ways to turn people’s needs, wants and dreams into reality is what he does. And he does it through creative space planning, development of design themes, and supervision of the design and production teams. Off the clock: Diversity of experience is key to Jim’s existence, and he seeks balance in life through family and friends, cycling, skiing, backpacking, travel, photography and volunteerism. Combining passions excites him, whether at work or at play. Background and expertise: Tom’s Environmental Design studies at Miami University of Ohio prepared him well for his life in the architectural and construction industries. Throughout his career he has served as designer, architect, and project manager at both large and small architecture and construction firms. He has been involved with all types and sizes of projects, both commercial and residential, including commercial buildings, fire and EMS stations, apartment buildings, restaurants, new home design and construction, and residential additions and renovations. Here at Karlovec & Company: Tom works closely with Jim and the rest of the team on design and construction plans from beginning to end. This includes surveying existing conditions, producing CAD and 3D drawings and schematics, creating documents for city approval, and ensuring a successful and timely project delivery. Off the clock: Family comes first for Tom. His interests include health and wellness and he coaches sports in his off time. He also enjoys drawing, painting, and chalking. 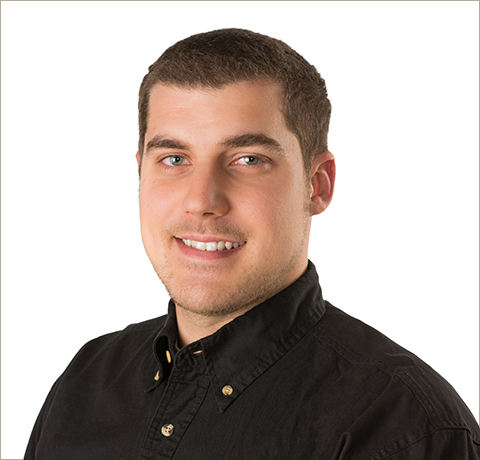 Background and expertise: Adam grew up in Medina, OH and stayed close to home while completing his Construction Engineering program at The University of Akron. While at UA, Adam studied all aspects of the field including construction methods and management, contracts and specifications, and safety, and gained practical hands-on experience working for area construction companies. His first job out of college took him down south where he worked as a field engineer helping build water and waste water treatment plants in the Carolina’s and Tennessee. While working in commercial construction Adam realized that his career interests were squarely in the residential remodeling and construction end of the industry so he returned to NE Ohio in search of opportunity. Here at Karlovec & Company: Adam does a little bit of everything. From fielding customer questions, to estimating, purchasing, scheduling and coordinating job tasks, to assisting with site assessments, to dealing with invoices and other administrative tasks. Adam plays a key role in making sure projects stay on target and on budget. He’s often the person who answers the phone when you call our office, so all-in-all, he’s a good guy to know. Off the clock: Adam enjoys playing sports with friends, traveling and exploring new places, plus he dabbles in photography. He’s also a dedicated Cleveland sports fan. Background and expertise: “Builder Bob” started in the business at a young age working in his father’s remodeling company. His strong math skills took him to The Ohio State University where he determined that a life wearing a tool belt was a better fit for him. Bob earned his Master Carpenter reputation through his decades in the residential remodeling industry while focusing primarily on historic home renovation projects. Over his 3+ decades in the business he’s proven that he can build just about anything. 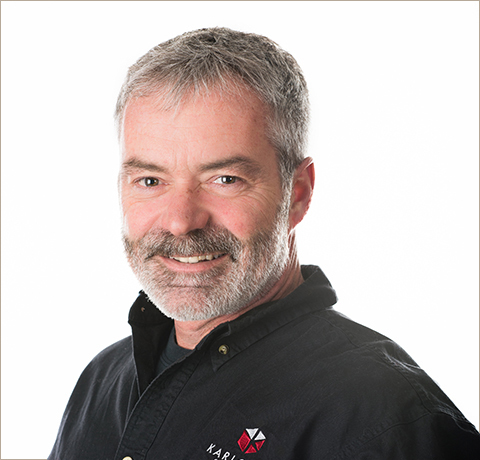 Here at Karlovec & Company: Bob leads our renovation teams and is actively involved at every level of project construction and management. Bob’s contributions start with the initial site assessment, run through scope of work development, and continue through the entire remodeling process. From demo, through the construction phase and on through the warranty phase, Bob makes things happen. He works directly with our project coordinator determining project estimates, plans, and schedules, directs jobsite-specific operations, and works with our design team to ensure client expectations are met or surpassed. Off the clock: Bob prefers to be outside. He spends his time walking Bella, his dog, golfing, hunting, fishing, or going for long motorcycle rides. Background and expertise: David comes to us by way of England where his Carpentry and Joinery studies at West Kent College prepared him well for the renovation and remodeling industry. Over the course of his 25+ year career he’s built a solid reputation as an exceptional carpenter and cabinet maker, known for his attention to detail and artistic flair. He’s created high-end custom cabinetry for many high-profile clients, commercial facilities, and government institutions. His client list includes singer/songwriter Sir Elton John, soccer star Sir David Beckham, Actor Michael Cain, London’s National Gallery, and even the UK’s secret service, MI5. Here at Karlovec & Company: David’s renovation and remodeling responsibilities run the full gamut. He creates and installs cabinets, millwork and pretty much anything that flows from the design team’s brains. Working side-by-side with our Lead Carpenter and other tradespeople David focuses on production…on time, on budget and with an insane attention to detail. “I love the outdoors and nature, so it seems only fitting to be involved working in a job with wood. I love to create beautiful one-off pieces for our clients that reflect warmth and add a personal touch,” says David. Off the clock: David is a dedicated family man. When he’s not helping his wife raise their two young boys, David enjoys fishing, cycling, cooking, and listening to music. 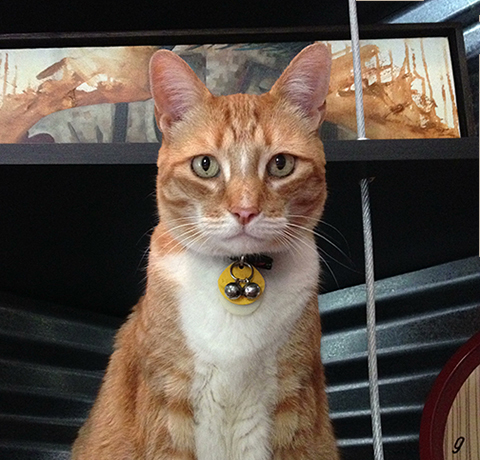 Background and expertise: Morris is an accomplished mouser who’s proven his dedication to the craft for over a decade. Here at Karlovec & Company: Morris keeps an eye on the staff and guests, patrolling the premises to ensure that it’s clear of vermin and other annoying intruders. Off the clock: Morris likes to hunt and stroll through the neighborhood. He also enjoys sleeping in sunbeams and snacking on catnip on occasion. 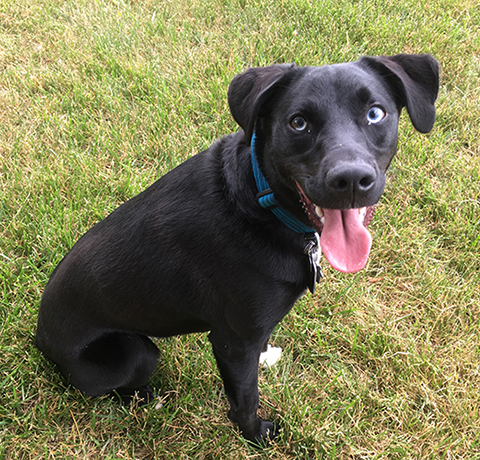 Background and expertise: Sky was born in rural Ohio on a small Amish farm and came to us by way of an adoption organization out of New Philadelphia. Her training at Shaker Hound Academy prepared her well for a life in the city. Here at Karlovec & Company: Sky greets all visitors, keeps bad guys at bay, and wrestles with her feline friends. She also works a part time gig as an assistant dog trainer at Shaker Hound Academy. Off the clock: In her spare time, Sky enjoys neighborhood walks, car rides, naps, and chew toys. She also loves to trail run and backpack with her human friends and is learning how to co-pilot a bicycle.